If you’re trying to make healthy changes to your eating habits, you’ve probably already come across juices and smoothies, especially green ones. ​But should you be juicing or blending? 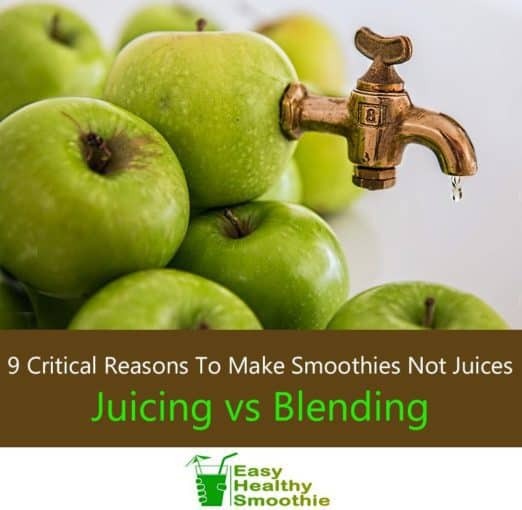 Does it make more sense to have a juicer vs blender on your kitchen counter? Liquid nutrition has become very popular and while there’s no doubt that both juices and smoothies can improve your health, it’s important to know which is healthier for everyday consumption. Quick and easy, you can see below how juices stack up to smoothies. Keep in mind that your personal health may make one option better or worse for you. Keeps you full thanks to protein, which fills the stomach for hours. Acts like water in the stomach, emptying quickly. Contains complete nutrition and can act as a meal replacement. Does not contain essential fats or proteins necessary to make a complete meal. Large doses of fiber may be difficult to digest for some people, like Crohn's patients. Contains no fiber and therefore digests very easily. Medium to low on the Glycemic Index, will not spike blood sugar. Very high on the Glycemic Index, spikes blood sugar quickly. Less food waste, you blend the whole fruit or vegetable. Produces huge amounts of waste by discarding all the pulp from the fruit of vegetable. Last longer, you can take smoothies with you for later in the day or leave them overnight. Juices begin to spoil once they are extracted, so you must consume them right away. Fiber, fat and proteins slow nutrient absorption. Your consumption is limited to what fits in your stomach before you get full. Can fit far more fruit or vegetables into a glass than you could realistically eat. More affordable to make than juices. Protection against toxins in fruits and veggies. Concentrates the toxins in fruits and veggies. Just 10 minutes to make and 5 minutes to clean. Up to 20 minutes to make and 10 minutes to clean. Are There Benefits For Juicing Over Blending? Juicing is a process that separates the fiber from the juice of the vegetable or fruit, leaving only the liquid for you to drink. 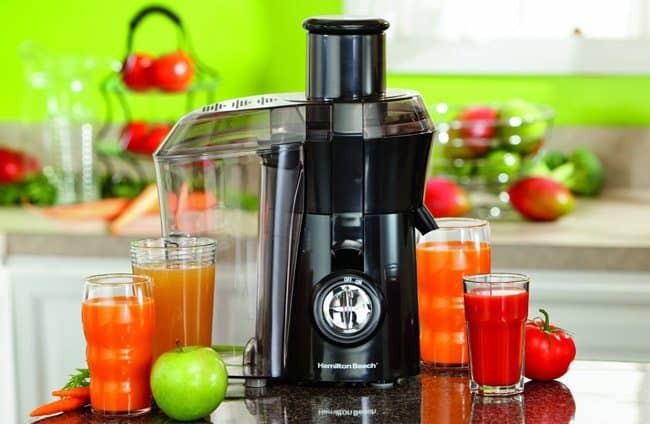 This process requires a juicer, which is an appliance that easily extracts the juice. The process of juicing requires a bit of a time commitment, as most juicers require fruits and vegetables to be cut into smaller pieces. Each piece must then be carefully fed through a tube, and into the blade. The pulp spits out the side of the juicer, so it’s important to have a bin available to catch waste. At the same time, the juice will pour into a jug. The juice will come up with a thick layer of foam on top. You should skim the foam before consuming the juice to avoid swallowing excess air and belching later on. Since one leaf of kale produces less than an ounce of juice, an average 12 ounce juice could contain: 3 apples, 1 whole head of kale, 1 cucumber, 8 stalks of celery and 1 lemon. This is more fresh produce that you would likely ever eat at once. Because juice oxidizes immediately upon extraction, you should not store juice to consume later. Each time you want a juice, a fresh batch should be made. Once the juice has been made, you will have to clean up the juicer. Even if you had a waste bin to catch pulp, you might find yourself wiping extra pulp from the counter or walls nearby. Blending is a process that manually breaks down the fiber in fruits and vegetables, so that they can be incorporated with liquid and consumed as a drink. Blending takes very little time, requiring only a little bit of prep by cutting the fruit and vegetables you plan to blend into manageable pieces. All ingredients can then be added into the blender jar with some liquid. Depending on your blender and the ingredients you are using, you will have to blend for 1-3 minutes. Frozen fruits and veggies might take longer to break down, and you should ensure you have added adequate liquids (about 1 cup liquid per 2 cups of frozen fruit). Since you are blending the whole fruits and vegetables, an average 12 ounce smoothie could contain: 1 banana, 2 cups spinach, 2 tablespoons peanut butter, 2 tablespoons cacao powder and 1 cup of almond milk. This is a well rounded meal with healthy carbs, vegetables, fats and protein. Once the smoothie has been made, you will have to wash the blender. This process is simpler than with juicers, provided you have a good blender, and takes only a few minutes to do. ​Since smoothies don’t oxidize immediately, you can make two servings and store one for later next day or pour into ice cube trays and freeze to use in another smoothie. Smoothie making takes much less times than preparing a meal, making it the perfect option for busy people on the go. 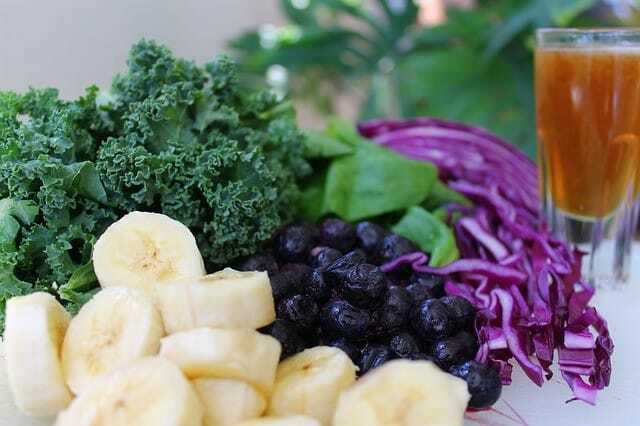 ​Unlike juicing, the entire process of making a smoothie from scratch takes only 15 minutes. 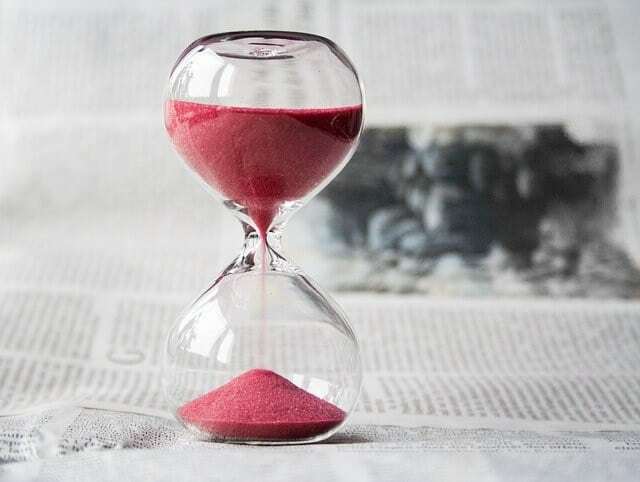 It can even take less than 5 minutes if you follow our time-saving cheat sheets! Say you’re making a smoothie for breakfast. Simply dump some frozen fruit in your blender, add a few handfuls of pre-washed spinach, a scoop of protein powder and some ground flax. Blend the entire mixture on the highest setting for 1-2 minutes, pour into a glass or travel container and enjoy. Even the clean up is a breeze, as you can save time by filling the blender jar half full with hot water and a little squirt of dish soap. Because they contain whole foods, smoothies are packed with protein. Recipes with greens, ground flax, and berries can easily contain over 10 grams of protein per serving. Because fruits and vegetables are mostly carbohydrates, and juice is a concentrated extract of fruits and vegetables, juices do not have the same potential for protein content. An average smoothie with some berries, a banana, greens, ground flax seeds and milk can contain up to 15 grams of protein naturally. Compare this with the typical green juice which contains only 3-5 grams of protein. When consuming a meal, it is important that you include a source from each macronutrient: protein, fats, and carbs. In addition, you should include at least two servings of veggies with each meal. Juices contain veggies, often more than 2 servings, which does sound good. When it comes to macronutrient ratios, juices contain almost exclusively carbohydrates. Since they are missing fat and protein, juices are not a good choice to replace a meal. ​Plus, juices are very low in calories. When you restrict calories for too long, you will actually reduce your metabolism and encourage weight gain. You can read this stud﻿y for more information on the effects of low calorie diets on metabolism. To bring the point home, smoothies can be an amazing source of protein. They can also contain a good serving of healthy fats when you use seeds, nut butter, coconut milk, or full-fat yogurt. Since we’re talking about fat and protein, it’s important to mention their effect on blood sugar. We all know that carbs and sugar in our food is what raises our blood sugar levels… but did you know that fat and protein can affect blood sugar as well? ​And good news, they affect it in the best way possible! According to this study, they are responsible for reducing blood sugar spikes. The Glycemic Index (GI) is a method of measuring how quickly a food raises your blood sugar. White bread is the highest food, with a GI score of 100. However, if you add 2 tablespoons of peanut butter to that bread, it will slow the absorption of carbs and lower the GI. You may already see how this relates to juicing vs. smoothies… because juices do not contain fat or protein. In fact, the average fruit juice ranks quite high on the GI scale. One of the main arguments against juicing is the amount of waste it produces. Almost half of the fruits and vegetables end up on the trash once the pulp is separated from the juice. This is both a waste of money and anti-sustainable. ​In today’s world we are facing food shortages and food waste is a bigger issue than ever. With this global concern, we all need to be doing everything we can to minimize our food waste every day. Add kale stems into your green smoothie instead of discarding them. Blend cucumbers with the peel on. If your greens are going bad, freeze them to use in smoothies. Blend kiwis whole, without peeling them. Unlike juicing, smoothies do not produce any waste by-product. 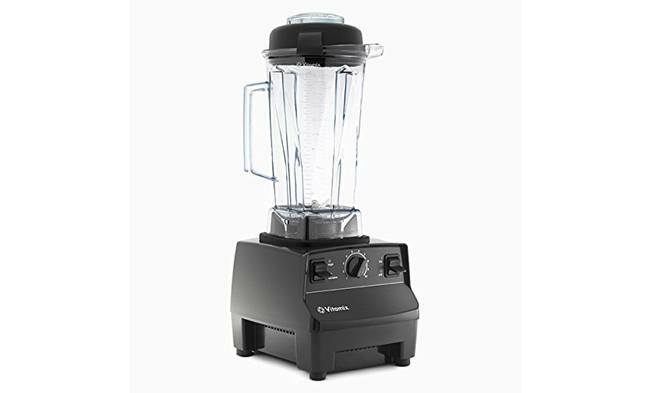 You will enjoy consuming 100% of what comes out of your blender. This is where smoothies really shine. You can make one batch of a smoothie recipe last for a couple meals or snacks with ease. When you make juice, the spinning blade starts oxidizing the nutrients right away. 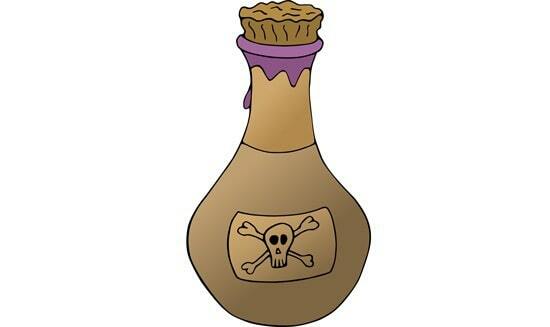 This means that you have to drink the juice as soon as possible, or risk further nutrient loss. Smoothies, however do not appear to have such strong nutrient-loss effect. In one study researchers analyzed the nutrient contents of grapefruit that had been juiced, against grapefruit that had been blended into a smoothie. These results suggest that, processing techniques significantly influence the levels of phytochemicals and blending is a better technique for obtaining higher levels of health beneficial phytochemicals from grapefruits. The best way I have found to store leftover smoothie is in a glass mason jar with a lid, in the fridge. However, sometimes I will take my smoothie on-the-go in a travel shaker cup and drink it later in the day. So, if you’re ultra-busy, make a double batch of your favorite breakfast smoothie recipe and store half in the fridge. The next morning, just shake it up and head out the door! Have you ever tried a ‘juice cleanse’? During this cleanse you eat no food, and only drink fresh fruit and vegetable juices. Up to 4 quarts per day. Advocates of juice cleansing like to claim that it gives the digestive system a rest, which is supposed to be beneficial for health. However, lack of fiber in the diet can lead to constipation. When someone on a juice cleanse complains of feeling tired or lethargic they are often told it is just a detox reaction. However, when you look at the low calorie content of many juice cleanse programs you can see why someone would lack energy. Juice cleanses are a short-term diet, producing very little weight loss and potentially causing long-term metabolic down-regulation. This means they can actually cause weight gain in the long term. Smoothies however, contain all the fiber and beneficial amounts of fat and protein contributing to calorie balance. This means that drinking smoothies can help you lose weight without destroying your metabolism. Unlike a short-term cleanse, smoothies make a great choice for everyday consumption. I personally drink at least one smoothie per day to look and feel my best. Compared to juicing. Blending is the more affordable option without a doubt. Like I mentioned earlier, the average juice can contain 3 apples, 1 whole head of kale, 1 cucumber, 8 stalks of celery and 1 lemon… that’s a lot of produce. A glass of juice often costs as much as a home cooked dinner, but is much less satisfying. This can create a problem if you are trying to incorporate this into your daily routine. That adds up to a lot of extra dollars, not to mention the effort of obtaining all these quantities of fresh produce. Moreover, you could never juice frozen fruits or vegetables, but these items are perfect for smoothies. For my complete guide to freezing fruit and vegetables click here. Smoothies actually contain fewer toxins than juice. Of course, both options are still healthy for you. But if you are going to drink something every day, you should know the whole picture. First, plants contain natural toxins. They evolved these mechanisms to prevent animals from overeating them, and therefore going extinct. It’s pretty brilliant actually. For example, raw cruciferous vegetables like cabbage, kale, broccoli, brussel sprouts and cauliflower all contain toxic goitrogenic compounds. When you consume them in large quantities, they can harm your thyroid gland. Thyroid dysfunction can lead to fatigue and weight gain, so this can be a big problem if you drink 3 quarts of kale juice every day. Spinach can be harmful in large amounts too, as it contains oxalates, which have the potential to cause kidney stones. In fact, if you have ever suffered from kidney stones previously your doctor will advise you to avoid raw spinach. Now, I’m not trying to scare you away from vegetables. Absolutely not - these foods are so nutritious and important for your overall health. However, it’s important to keep in mind that we evolved to only be able to eat a certain amount of these foods for a reason. When we override our evolutionary biology by removing the fiber from our vegetables, we can eat 10 times more than we naturally would. This means 10 times more toxins, which we did not evolve to process. Smoothies keep the vegetables whole, which ensures our natural defense mechanism against these toxins continues to work correctly… and that natural defense is being full. Blending smoothies can have some downsides, but with a little practice and problem solving this can be overcome. Problem: My smoothie is warm after blending, and it’s grossing me out! S﻿olution: Add ice to your blender with the rest of the ingredients, this will ensure a nice cool, refreshing smoothie. Alternatively, include some frozen fruits and veggies. Problem: My smoothie is chunky and has pieces of greens floating around in it. Solution: Try blending the greens and the liquid together before adding the rest of the ingredients. This will ensure that the greens break down and incorporate into the smoothie. Problem: I don’t like the taste of kale in my smoothie. Solution: Try a milder green, like spinach. Spinach doesn’t have much flavor at all when added to smoothies, so start with that. P﻿roblem: I don’t feel full after drinking my fruit and vegetable smoothie. Solution: Add more protein. Ensure that your smoothie contains at least 20 grams of protein to keep you full for hours. See my protein recommendations above in point number 2. Everyone is different and some people might be challenged with specific health issues. There are cases where juicing might be more appropriate than blending. People suffering from certain digestive disorders may be better off with a juice than a smoothie. These are disorders like Chron’s and Colitis, which can flare up with a high fiber diet. Malabsorptive conditions such as Celiac Disease, can also benefit from juicing because they reduce nutrition absorption. If you need to gain weight, juicing can be more helpful than smoothies. 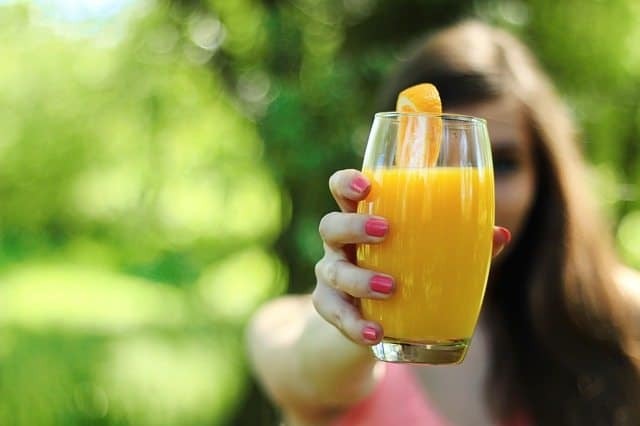 Fruit juice contains large amounts of sugar, which raises blood sugar and increases insulin levels. Insulin is the body’s fat storage hormone, so this can directly lead to weight gain. Finally, juicing can be helpful for senior citizens who have a reduced appetite and poor nutrition. A small serving of vegetable juice can act like a multivitamin for people who are not eating enough vegetables, and don’t have the stomach capacity for smoothies. Were you surprised by any of these facts? Do smoothies or juices have a place on your menu every day? I used to think juices were the healthiest option out there, until I discovered blending smoothies – now I only drink juice as a treat once in awhile. Even then, it’s usually when I’m outside and run into a juice stand which extracts juices on the spot - this way I can enjoy the juice without having to worry about juicer cleaning. Let me know in the comments below if you plan to start drinking more smoothies. 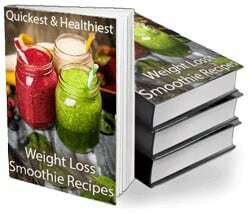 Smoothies from natural ingredients are healthier than juices, and better for weight loss. However in some cases and medical conditions juices are better. Wow, I always thought juicing was so healthy – this is such an eye opener! Thanks for your comment, Carly! So glad I read this. I was going to start juicing but I decided to look into more first and I’ve found this piece fascinating. Definitely an eye opener, as Carly says! Oh my, I always thought juicing was super healthy! Thanks for this piece. Really good to know the score!